Key difference: Attention deficit-hyperactivity disorder (ADHD) is a medical disorder that is characterized by excessive inattentiveness, hyperactivity and impulsiveness. 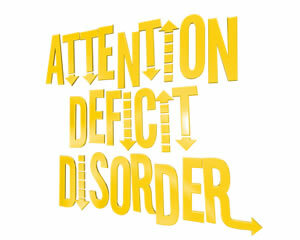 ADD is an older term that is used to refer to Attention Deficit Disorder. This type is now known as Predominantly inattentive (ADHD-PI or ADHD-I), a subset of ADHD. Attention deficit-hyperactivity disorder (ADHD) is a medical disorder that is characterized by excessive inattentiveness, hyperactivity and impulsiveness. It results in the patient not being able to focus, pay attention and sit still for longer periods of time. The person may also have trouble listening, watching, reading and studying. These are often visible in children before the age of 7 and can continue to be there even when the child grows up. ADHD is one of the most common disorders that is studied and diagnosed in children, affecting approximately 3-5% children in the world. The disorder is more prone to affect boys than girls. There are various different causes for ADHD including genetics, diet and the social and physical environments. ADHD occurs in a person when neurotransmitters are less active in the area of the brain that controls attention. This causes the person to have a short attention span. ADHD has been considered as highly hereditary and is proven to occur more in patients that have a history of ADHD in their family. Alcohol and cigarette intake during pregnancy have also be linked to the development of ADHD. Many researchers have also been trying to link ADHD to evolution, where ADHD occurs in a patient favored by natural selection. Pediatric Allergist, Benjamin Feingold found in 1973 that certain food colorings can contain additives that may affect children’s behavior. Though there has been evidence that some food coloring may make children hyperactive, the link between food coloring and ADHD is still unclear. Diagnostic and Statistical Manual of Mental Disorders (DSM-IV), 4th edition classifies ADHD into three subtypes: Predominantly inattentive (ADHD-PI or ADHD-I), Predominantely hyperactive-impulsive (ADHD-HI or ADHD-H), or the two combined (ADHD-C). Patients with the first subtype have difficulty focusing on one task at one time. They exhibit symptoms such as being easily distracted, forgetful, daydreaming, disorganization, poor concentration, and difficulty completing tasks. Patients with the second subtype have a difficulty sitting in one place and are often impulsive and rash. They exhibit symptoms such as excessive fidgetiness and restlessness, hyperactivity, difficulty waiting and remaining seated, immature behavior; destructive behaviors may also be present. The third subtype is actually a combination of the first two subtypes and the person exhibits symptoms of both. ADD is an older term that is used to refer to Attention Deficit Disorder. This type is now known as Predominantly inattentive (ADHD-PI or ADHD-I), a subset of ADHD. The term ADD is no longer a diagnosis. The official diagnosis is ADHD-PI or ADHD-I. However, the term ADD has stuck around and is still commonly used to unofficially refer to the condition. Kids with ADD are inattentive; however they are not hyperactive or impulsive. Kids with ADD have difficulty focusing on one task at a time. They are often easily distracted, forgetful, daydreaming, disorganized, have poor concentration, and have difficulty completing tasks. 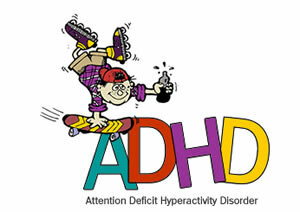 ADD and ADHD is not curable but it is manageable to the point where it does not disrupt the person’s daily activities. Treatment includes a combination of positive behavior support (PBS), life-style changes, counseling, and medication. The person must attend therapy including behavior therapy, cognitive behavioral therapy (CBT), interpersonal psychotherapy (IPT), family therapy, etc. Stimulants is commonly not given to children, but could be prescribed to adults to help manage the disorder.